I’m linking in to Kate Motaung’s Five Minute Friday today. And peace that passes all understanding. Feeling like my ‘sacrifice’ had no rewards. It had to begin with me! Here’s an excerpt from Small Change: It’s the Little Things in Life That Make a Big Difference! by Susan and Larry Terkel. The power of small change lies in how much easier small changes are to initiate and maintain, and how meaningful are the patterns they create. Replace a soft drink with water at just one meal — say, lunch. With this small change, you will drink approximately forty more gallons of water per year, while not drinking forty gallons of carbonated sugar. You will also save up to fifty thousand calories and as much as five hundred dollars. Walk to the next bus stop instead of the closest one. In one year, you will walk more than 150 miles more than if you had not changed your routine. This is the equivalent of walking from New York to Philadelphia and back each year. In ten years, you will have walked more than 1,500 miles. Consciously say, “I love you,” at the end of every phone conversation with a life partner, and it will reinforce the message for both of you, adding tens of thousands of endearments over the course of a relationship. Small change adds up! As PM Modi had said, if every Indian moves 1 step forward, that would be 1.25 billion steps forward! Great poem, Corinne and you’re so right. Change must start within ourselves. I believe that we all prefer to stay within our comfort zone.Staying with the known carries the perceived promise of security.There is a satisfaction that accompanies the familiar ,which weighs heavily against even an iota of risk riding a new venture.Change,unfortunately,comes with the cargo of perceived risk. When Napoleon Hill said “every adversity carries equal or greater benefit” he was certainly not being flippant.Every adversity does carry the potential of bringing advantage to the table . It’s the advantage of the confidence in surmounting obstacles. “Be the change you want to see” That is my favorite quote too! I loved the poem. 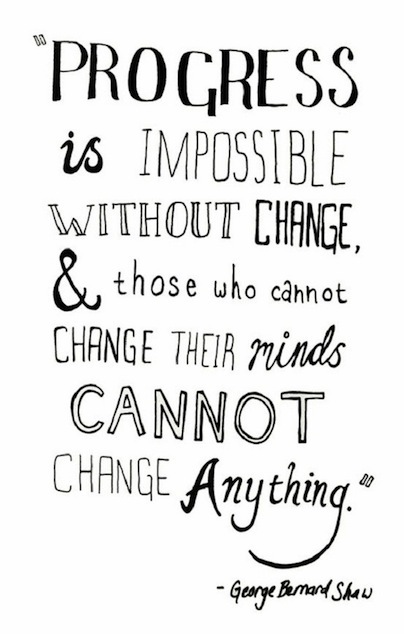 Change is the only constant – another one of my favorite. In fact for the 12 things list, I am doing my favorite quotes. Oh wow, talk about change, I’ve got plenty to say! Very inspiring words once again Corinne. Change is something I’ve been trying to hurdle, fight, challenge, accept for some time now. Not easy, but I know it’s rewarding at the end. I haven’t blogged for some time but I’m back at my blog at anne-writersspace.blogspot.com. That’s one for change 🙂 Hope you can visit again. Wonderful poem, quotes and suggestions for positive change, Corinne. Loved your post! Amazing poem, Corinne! 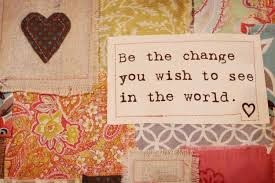 Change must begin within us, and we must love who we are before we can truly love others. This post resonates so much Corinne for someone like myself who has worked on social justice issues and civil rights issues in my day to day job. Yes, I can see external changes and have made them happen but have had to come to terms with the internal changes occurring in my life as well. I’ve had to step it up and make the necessary changes within myself to become the person I was capable of becoming. Loved the quote Vidya shared too and the one by George Bernard Shaw. Very inspiring thoughts,Corinne. Just by doing our own bit in life, we can bring about a change. Thanks for sharing the quotes. Wonderful! I’m a big believer in small steps… adding that book to my list. Great writing. If you can be at peace with change, those around you will notice! That’s the truth. Change has to come from within. 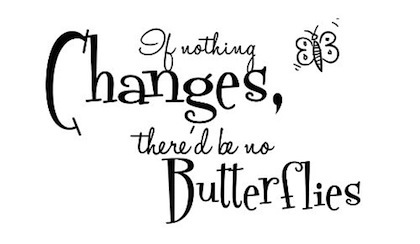 Love that quote about butterflies! So profound, so true! Lovely poem. It reminds me of my own experience. I’m looking forward to browsing through your blog now that I’ve found you through the FMF linkup. I love it! The change comes when you yourself are changed! Yes! I struggled in many many ways until I let God just change me. Nothing around me was different. He made Me different.